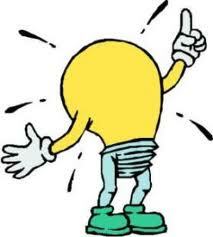 The incandescent light bulb, or the “normal” light bulb, is one of the first electric lights ever invented. How this bulb produces light is simple to understand: it produces light by making the metal filament wire inside it glow because of high temperature. Thomas Alva Edison is the known inventor of the incandescent light, but historians claim that there are around 20 inventors of it prior to him. The historians conclude that Edison’s version succeeded to outdo the others because his light bulb uses a more efficient incandescent material, has a greater vacuum and higher resistance. Incandescent light bulbs are made of glass bulb or enclosure, tungsten filament, contact and support wires, glass mount, cap, vitrite and electrical contact. Varying arrangements of electrical contacts are utilized in different light bulbs. Normally, larger bulbs use a bayonet base or a screw base; while miniature bulbs use a wedge base. Power ratings of bulbs also differ. Ratings vary from 0.1 watt to 10,000 watts. This kind of light is very sensitive to transforming voltage supply. This feature has a practical and economic significance. For example, by reducing its light output by 20%, a light bulb can have a 5% reduction in its operating voltage; thus doubling the light bulb’s life. Even though incandescent lamps are cheap, the cost of electricity used is comparatively higher than the energy used in LED or Fluorescent lamps. Due to this issue, many governments are tackling the issue of completely banning the use of incandescent light bulbs. Incandescent lamps have been one of our greatest sources of light, and they are still used until today. It is true that there are certain issues about its energy-efficiency, but there are efforts to improve the energy efficacy of incandescent lights.